PRO-Y -. 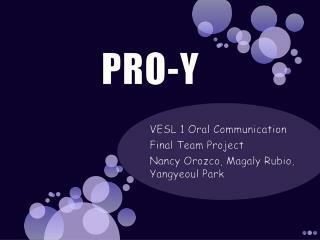 vesl 1 oral communication final team project nancy orozco, magaly rubio, yangyeoul park. indtroduction. free you from hard working for cleaning the bathroom you just take a shower and relax . freedom from cleaning your bathroom.